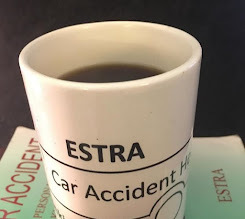 ESTRA Seattle Official Car Accident Blog: Is Your Life Over After A Car Accident? Is Your Life Over After A Car Accident? Seattle (ESTRA) - Is your life over after a car accident? Absolutely not! Do Auto Insurance, Employer ERISA Program, or Social Security Disability create calamity in the lives of their Policyholders after filing Insurance Claims? Some do. Refuse to feel ashamed or guilty for the deeds of these companies. They are accountable for actions not you! They work for you not vice versa. Yet their action to refuse to pay Insured Claims is a problem and must be solved through Insured Civil Rights Legislation. Congress must make this a priority to protect injured and disabled. Today people of all shapes, sizes, and abilities have decided that indeed this world is made for them too and reach out past comfort zones to seek new adventures for enriching life. Entertainment is an aspect of the journey. By spending time seeking out new ideas, places, and people, whatever the personal preferences, entertainment makes life worth living by making fun memories. Therefore, do not exclude this portion of your life. It is not necessary to be miserable while enduring pain and suffering, be optimistic through troubles. The Americans Disability Act has made it easier for people wanting to be participants in public life to move around easier and be contributors to society. Unfortunately, the same Congress that shut down our Government is also one in the same ones refusing to sign a treaty adding the United States to a list of countries that would have given these opportunities to more disabled people around the globe. Never the less, by never giving up, each generation makes strides to be inclusive in society. This includes enjoying the fun things in our cultures. Some activities are designed for people with injuries, disabilities, and the general populations with accessible buildings and activities. It is important to take advantage of these opportunities. Pain and suffering may follow wherever you go, yet, by adding joy into the mix, one can remember there are also many good things and dreams to fulfill. An injury from a car accident is no picnic. 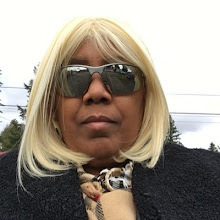 The pain and suffering, medical appointments, dealing with Insurance Company and Employers who may delay, deny, harass, or intimidate takes a great deal of time, energy, especially when most individuals have few resources. However, realize your life may be in transition, but far from over. Whether we realize it or not, change is constant in our lives. Take those new parameters and make something from them regardless of how they came into your world. Taking a break from troubles can reinvigorate to a point of being able to handles issues with greater ease. Sometimes just a weekend get away can help to restore balance after obstacles. Use this time to reflect on current condition and future direction while relaxing or having fun. Even in the midst of discomfort resting may bring creative ideas forth, showing ways to handle current troubles with less stress with more options. Many injured people are faced with harassment and intimidation on top of dealing what trauma from a traffic collision. Take time for yourself when the opportunity arises. As long as it can be added as a positive experience, doesn’t add too much additional pain and suffering, create enjoyable memories to offset some ones of trauma. Just because you are hurt, do not refuse opportunities to make life better, take them. You are the most important person in this equation, and so is your recovery. Accessible entertainment can bring a joy and laughter into life lost after injury. There is another side of pain which is laughter and happiness. This is found by taking small steps back into a world that brings interesting, exciting, events which allows growth to continue after a car wreck. You still have a life, so do not give it up for anyone. Keep dreaming, learning, and finding ways to be entertained. Arnold Brame, thanks for your comment. Unfortunately in the United States, there are approximately 1,000 traffic collisions per day. For some, their lives and families will greatly change. However, life changes come to us all. Realizing that living is not over and seeking ways to transform or adjust your dreams, can recapture some losses and build new opportunities.